AEGIS Engineers elected as members of the Institution of Mechanical Engineers. 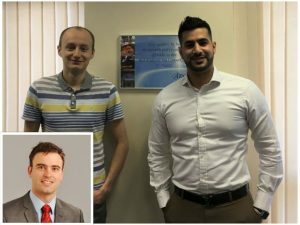 AEGIS Engineers Ozi Al-Jumaili, Sylwester Sulkowski and Phil Dallman have all recently attained Chartered Engineer status by being elected as members of the Institution of Mechanical Engineers. This is great news for the company and more importantly for the three Engineers. It reinforces the commitment AEGIS has to offering young Engineers a career development pathway.